Farm flat landscape. 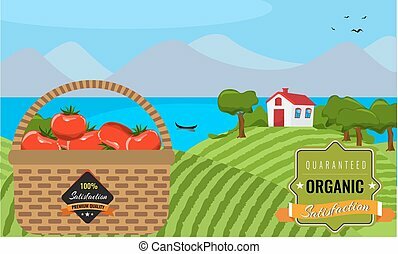 Tomato Organic food concept, solid, flat color design. Farm landscape concept. Farm landscape background with modern vintage ribbon tag and basket. 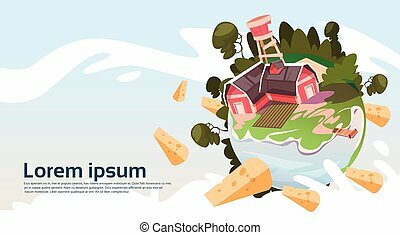 Farmland illustration. 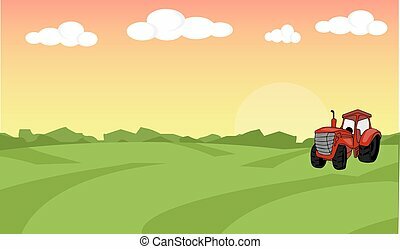 Farm flat landscape with tractor. Organic food concept for any design. Farm landscape concept. 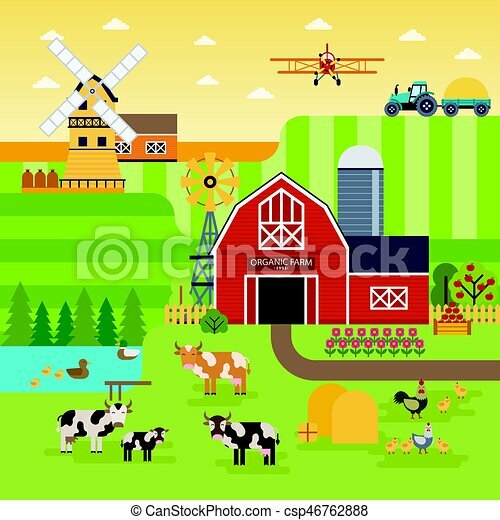 Farm landscape illustration. 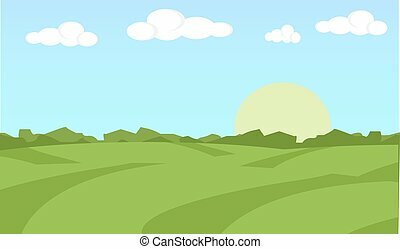 Farm landscape background. Farm background. 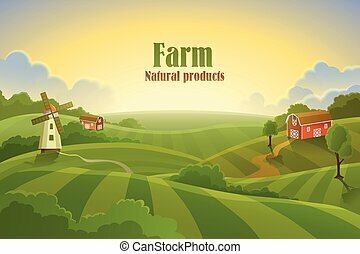 Farmland concept. 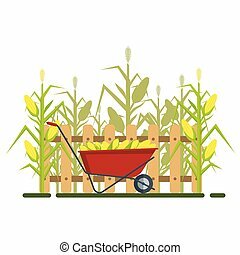 Vector yellow corn in red wheelbarrow with fence and cornfield, flat style concept isolated on white background. Ripe vegetable, corncobs, farming design elements. Farm landscape. 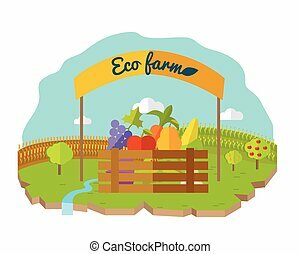 Eco farm conceptual vector in flat style design. 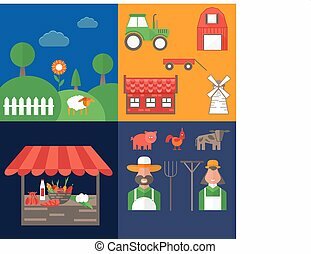 Box with vegetables and fruits under the banner with fields and garden on background. 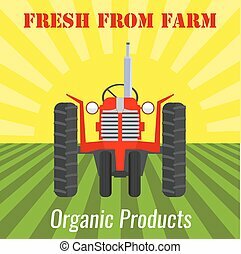 Fresh organic products concept. Isolated on white background. 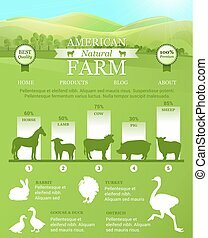 American Farm Infographic with bright landscape, farm animals silhouettes. Vector template for landing design, web page and advertising banners, business cards. 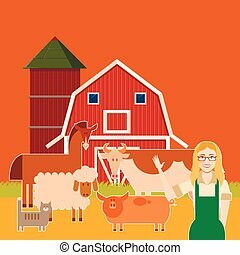 Milk farm concept banner vector flat design. 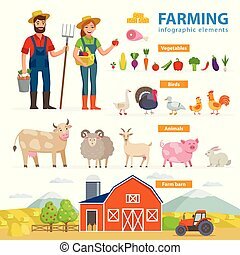 Organic farming, traditional products. Clean naturally produced food. 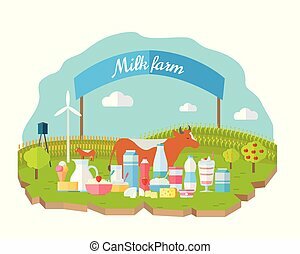 Bottle and glass of milk with animals, fields, garden on background. 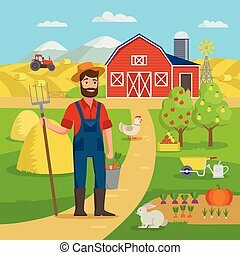 Happy farmer with agricultural landscape and garden standing in front of the farm barn and fields with crop. 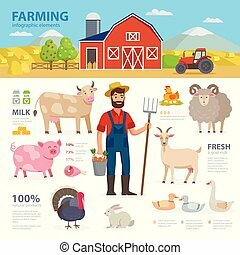 Eco Farming concept vector illustration in flat design. 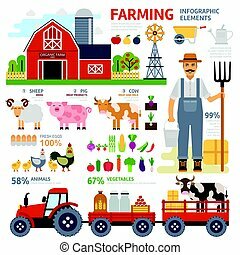 Big set for farm infographics. 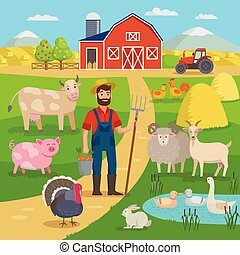 Happy farmer with agricultural landscape and farm animals standing in front of the farm barn and fields with crop. 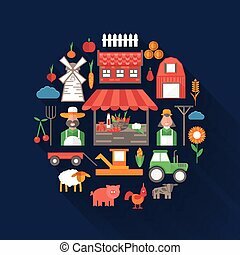 Eco Farming concept vector illustration in flat design. 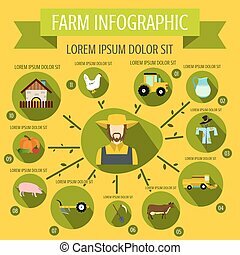 Big set for farm infographics.